I am having trouble deciding between cream cabinets with navy walls or navy cabinets with cream walls. 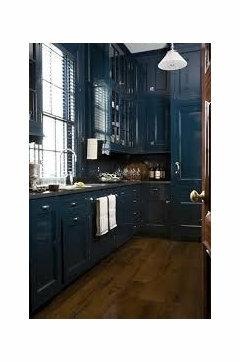 I really love the navy cabinets but I'm concerned they'll be too dark - we don't have a ton of natural lighting in the kitchen. But I can always add more lighting, yes? Floors and countertops will be maple (so lighter in color). Please talk me in to something here and help me make a choice - I have to make a decision as DH is getting cranky with my indecisiveness. 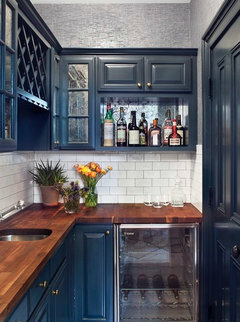 I love the idea of navy cabinets. What about doing a two tone? 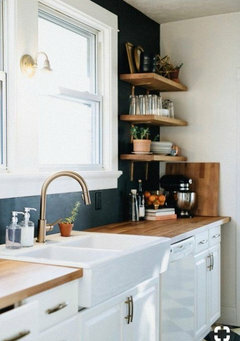 Navy lower cabinets and cream upper cabinets? Be very careful with the yellow you choose. You want it to be bright and cheerful. My kitchen/dining room had pale yellow walls and against the white cabs/appliances it looked like bad chicken fat. I couldn't wait to get those walls painted. 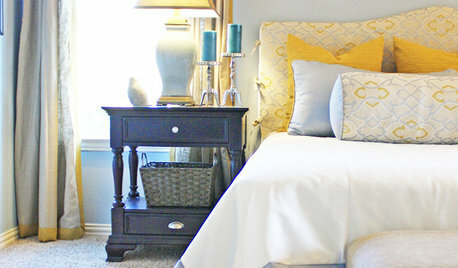 Another thought is to use the same color in the dining room but reduce it by 50%. 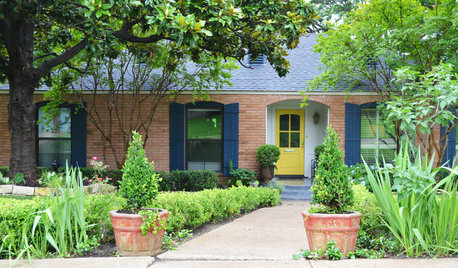 I would not to yellow walls and beige ceilings. Yellow walls, reduced yellow ceiling ok. However....I just saw the picture of your floor and it appears to have a pale blue in it? That's another thought. 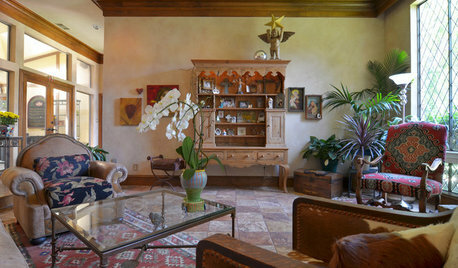 Or pick up the beige in the floor (beige is a neutral and goes with everything) with a white ceiling. can't decide on kitchen counter color. Hi nsdaquin, personally I don't like mixing different surfaces like granite with quartz. 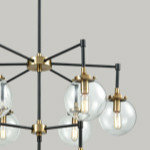 If you're not in love with the St. Cecilia, I would consider Dreamy Marfil it's visually less busy. If you have a small kitchen, you should use the same material for both the island and the perimeter--sometimes less is more. Help! Can't decide on Kitchen Cabinet door style. Thoughts? emilyam819: Yes, that's a really great aspect of Conestoga. 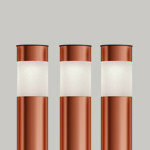 Can I ask which raise, edge and framing bead you chose? 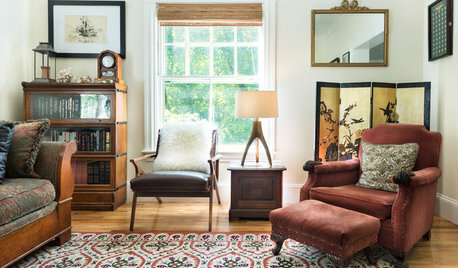 My contractor suggested doing the same -- going with the CRP-10 door (pretty standard), then dressing it up with the framing bead, edge and raise choices. I'd really be interested in your choices. I was thinking the &quot;M&quot; raise is so &quot;common&quot; (Home-Depot-ish at this point) that I wanted to get something &quot;distinctive&quot; -- so I was leaning toward Presidential for that reason. 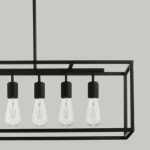 But I am still toying with some other combinations. However, there are so many possible combinations I would love to know what others have chosen. Thanks much! 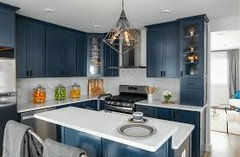 Navy cabinets with maple countertops? So dreary! Well there certainly cannot be much natural light in that little kitchen and it looks gorgeous. I would think a glossy paint and great lighting should mitigate the lack of natural- also the right shade of blue that is not too dark. 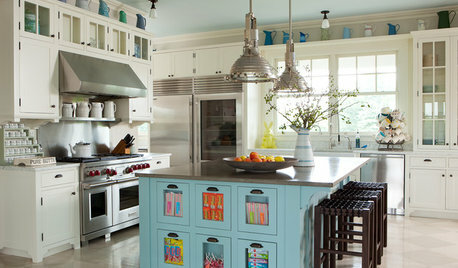 I think blue cabinets sound dreamy. I am not a huge fan of blue walls in the kitchen. 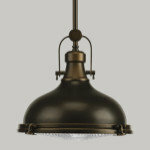 I like dark colors on walls in cozy, moody spaces. 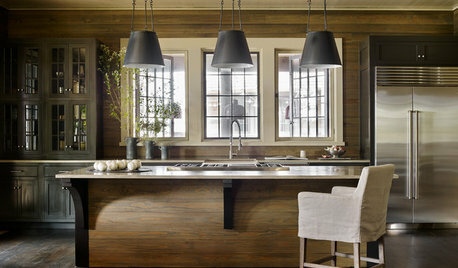 If lighting is an issue and you want butcher block countertops I'd lean more towards cream. Yes you can add more lighting but that's not always simple. 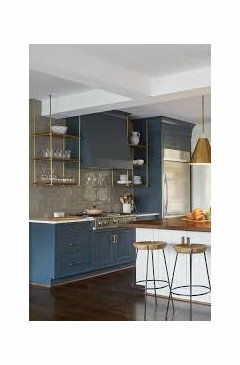 If you went with a lighter countertop I'd say navy is fine. 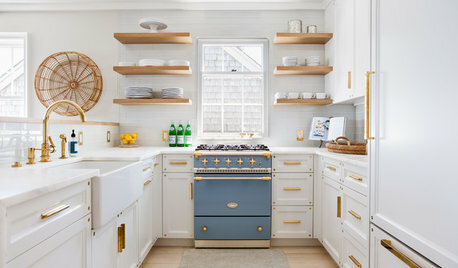 Love the navy cabinets with a white wall. And here’s some pics of the other “look”. 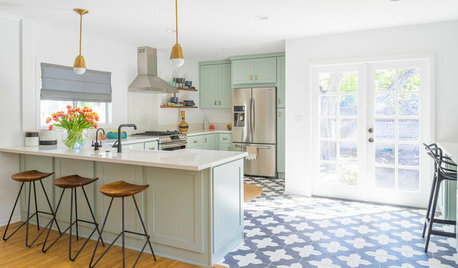 Love both the blue cabs with white(ish bs and wall) as well as the white cabs with dark blue walls and wood counters/shelves. Nice combination. 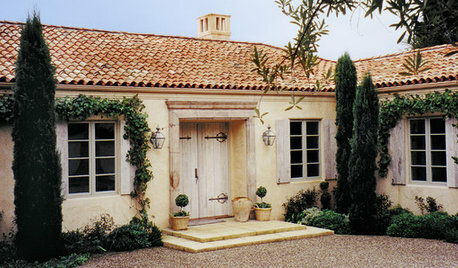 If there's not a lot of natural sunlight, consider white. Wiscokid's kitchen is adorable. 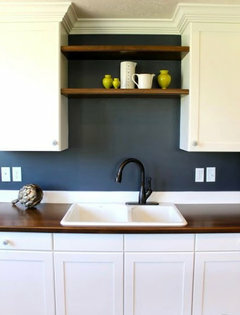 Also, if you ever tired of navy walls, the walls can be easily painted compared to painting cabinets. White brightens up a kitchen & makes space feel bigger. 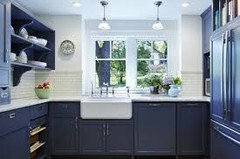 If you do go for all blue cabinets a light countertop & backplash suggested to brighten it up. Trying to find photos without bright lighting is a challenge. 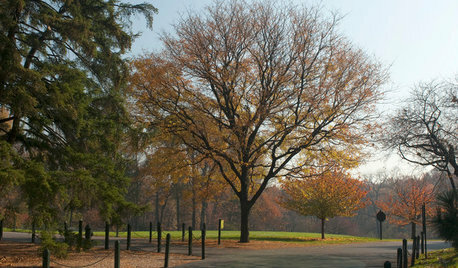 Most pro photo advertising have bright spotlights or sunlight to enhance photos for the pictures. 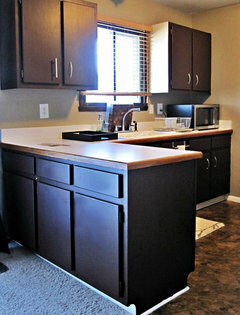 Here's a photo with darker counters. It's attractive,but makes room feel smaller,imho.